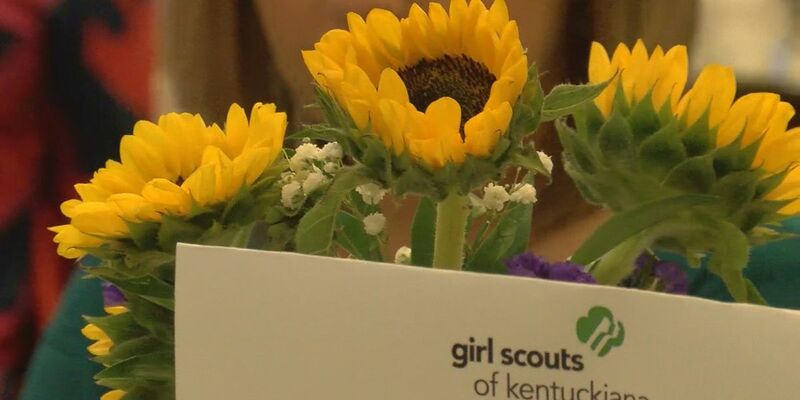 A centerpiece at the Girl Scouts of Kentuckiana's 'Tough Cookie' awards breakfast. LOUISVILLE, KY (WAVE) -They sell cookies, and are tough cookies--and today, some community leaders were honored by the Girl Scouts. The breakfast was held at the University Club on Friday morning. WAVE 3 News' Dawne Gee--a Girl Scout herself--was the emcee for the awards ceremony. This was the third year for the awards, which included the “Man Enough to be a Girl Scout" award, given to a male supporter in the community.